Sheri Wills will open her personal exhibition “What does light remember?” in the basement of Draakon gallery at 6 p.m. on March 7, 2018. Exhibition will be open until March 17, 2018. Sheri Wills is an artist whose work is based on film, video performance, and installation. During her stay in Estonia, she works at the Narva Art Residency of the Estonian Academy of Arts (EAA) and also presents a masterclass at the Department of Fine Arts of the EAA. 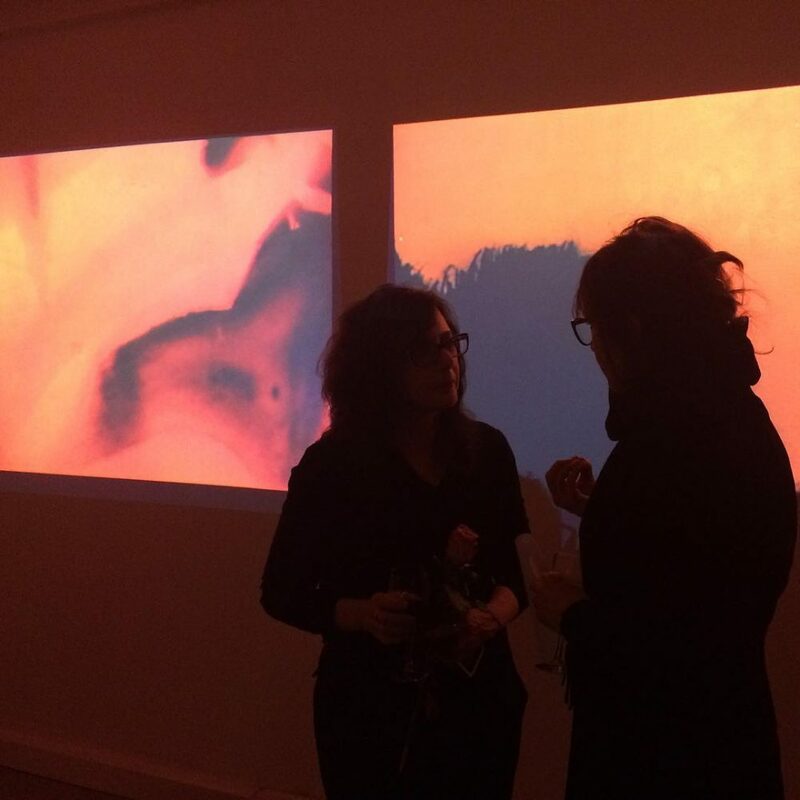 Her work has been exhibited internationally, including one-person shows at the Director’s Lounge in Berlin, the Robert Beck Memorial Cinema in NYC, and The International Experimental Cinema Exposition. Her films have been screened at venues including the London Film Festival, the International Film Festival in Rotterdam, and the Museum of Modern Art in New York and are included in the Rizzoli book, Sonic Graphics: Seeing Sound, by Matt Woolman. Her collaborations include live video projects with music composed by Jan Jirásek, Charles Norman Mason, Bright Sheng, and Ofer Ben-Amots and video performances with music ensembles, including the NYC choral group, Khorikos, the Providence String Quartet, Luna Nova New Music Ensemble, and Ensemble QAT in Montreal, at venues including Roulette in Brooklyn, the Firehouse Space in Bushwick, and the Czech Center in NYC. She is a Professor in the Department of Film/Animation/Video at the Rhode Island School of Design. She lives in New York City. Sheri Wills’s projection-based exhibition explores metaphorical questions about the material nature of captured light in terms of its capacity to hold memories and illuminate erased landscapes. Light is physical material, while the play of light and shadows (cinema) creates an illusion of reality – and one can pass a hand right through it. “As a small child, looking at the stars, I wondered: if light from a star takes so long to get here, what does it remember of its journey? How is it changed by its travel? Where does light go, since it can no longer be seen?” These are a child’s questions, but scientists are now stopping light, to study and transport the information/memory that it contains. Exhibitions in Draakon gallery are supported by the Cultural Endowment of Estonia and Estonian Ministry of Culture.